A woman has vanished while digging a dinosaur bone bed in the remote wilderness of Canada. Somehow, the only evidence has made its way to the inbox of Chief Medical Examiner Kay Scarpetta, over two thousand miles away in Boston. She has no idea why. 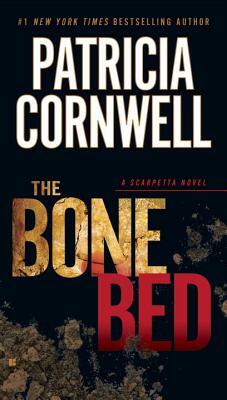 But as events unfold with alarming speed, Scarpetta begins to suspect that the paleontologist’s disappearance is connected to a series of crimes much closer to home: a gruesome murder, inexplicable tortures, and trace evidence from the last living creatures of the dinosaur age. When she turns to those around her, Scarpetta finds that the danger and suspicion have penetrated even her closest circles. Her niece Lucy speaks in riddles. Her lead investigator, Pete Marino, and FBI forensic psychologist and husband, Benton Wesley, have secrets of their own. Feeling alone and betrayed, Scarpetta is tempted by someone from her past as she tracks a killer both cunning and cruel. Patricia Cornwell is one of the world’s major internationally bestselling authors, translated into thirty-six languages in more than fifty countries. She is a founder of the Virginia Institute of Forensic Science and Medicine; a founding member of the National Forensic Academy; a member of the Advisory Board for the Forensic Sciences Training Program at the Office of the Chief Medical Examiner, New York City; and a member of the Harvard-affiliated McLean Hospital’s National Council, where she is an advocate for psychiatric research. In 2008, Cornwell won the Galaxy British Book Awards’s Books Direct Crime Thriller of the Year—the first American to win this prestigious award. In 2011, she was awarded the medal of Chevalier of the Order of Arts and Letters by the Ministry of Culture in Paris. Her most recent bestsellers include Red Mist, Port Mortuary, The Scarpetta Factor, The Front, and Portrait of a Killer: Jack the Ripper. Her earlier works include Postmortem—the only novel to win five major crime awards in a single year—and Cruel & Unusual, which won Britain’s Gold Dagger Award for best crime novel of 1993. Dr. Kay Scarpetta herself won the 1999 Sherlock Award for the best detective created by an American author.